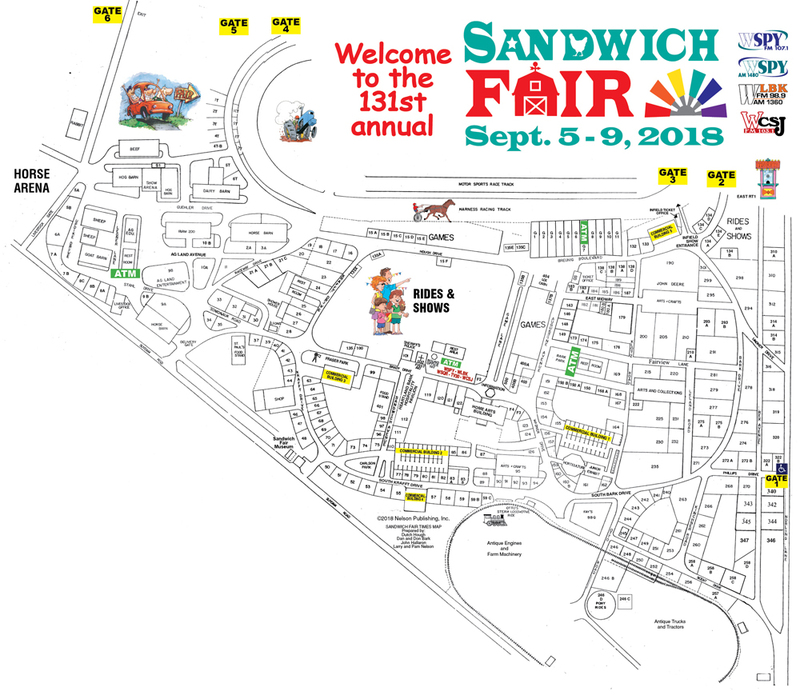 The Sandwich Fair, first started as an annual livestock show in DeKalb County. Held yearly, Wednesday–Sunday after Labor Day since 1888, it is one of the oldest continuing county fairs in the state of Illinois. Large crowds stroll throughout the beautiful tree lined grounds, all five days of the fair, which has something of interest for everyone. *Please refer to the below information regarding ride wristbands. On-line pre-sold ride wristbands are valid any ONE day and will be sold online prior to the fair until midnight of September 3rd for $20 per wristband and one service fee per order. (order multiple wristbands at at time for one service fee) (Not Valid on Saturday) Link coming summer 2019 for wristband pre-sale. Purchase your wristbands at the ride ticket booths on the Midway during the Fair. Online prior to September 3rd. in the Culinary Competition section of the Exhibitor Guide. or picked up at local locations. Competition section of the Exhibitor Guide. Please refer to the navigational menu to access the information you are searching for!